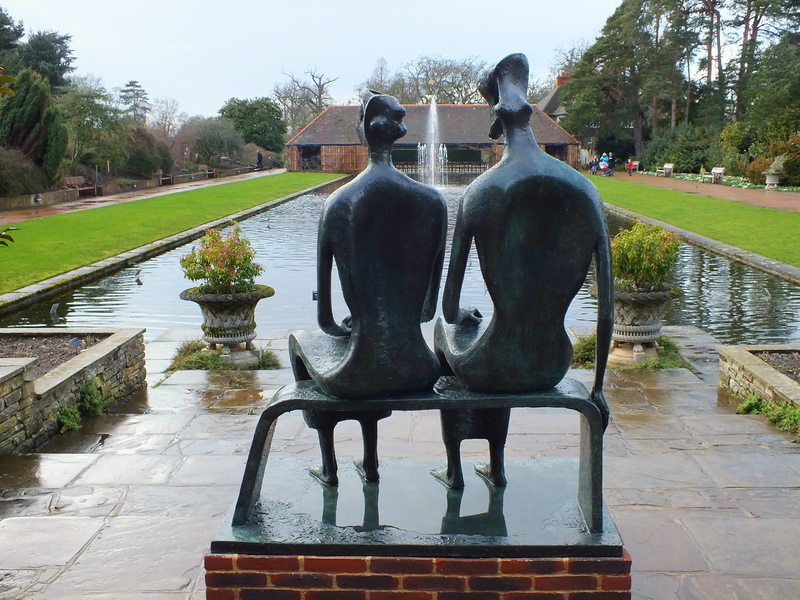 The white Henry Moore Arch at the top of Battleston Hill has disappeared, to be replaced by some seated royalty at the top of the Lily Pond. 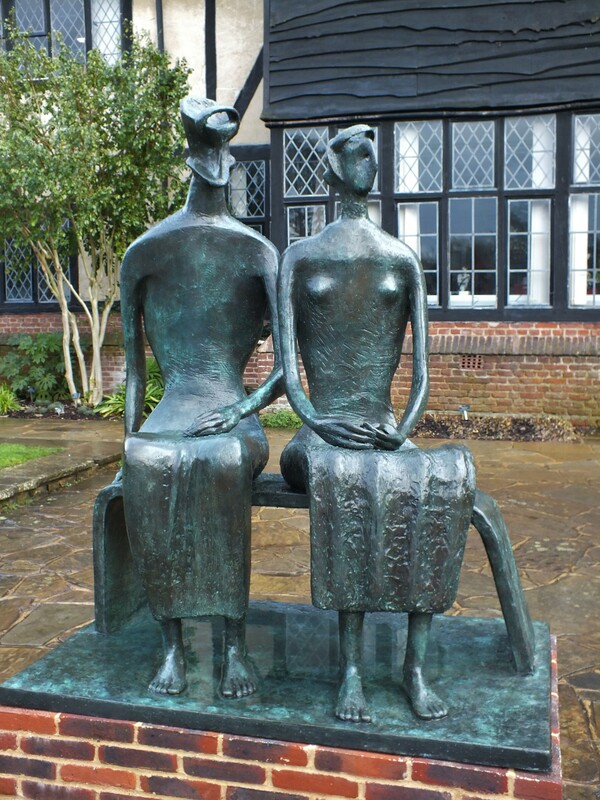 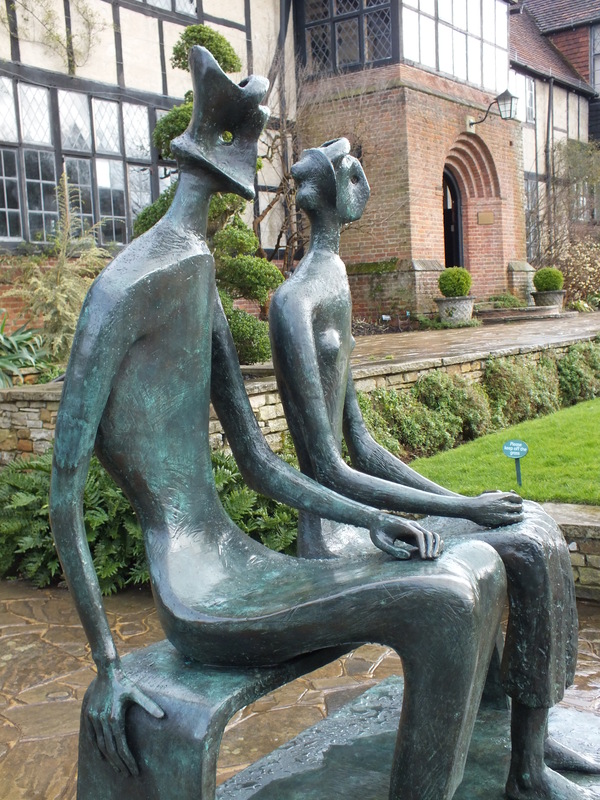 I saw these beautiful figures last at Hatfield House. There was much, much more to see during the couple of hours I spent there this afternoon – hellebores of course, colourful witch hazels, plenty of snowdrops, a superb Alpine House display, superlatively fragrant Daphnes… there will be photographs!